Easter 2019 will see the biggest event of its kind, the 44th annual Show of Antiques & Collectables being held this year at the Upper Hutt Expressions Art & Entertainment Centre Hall. Since 1975 collectors from all over New Zealand have got together once a year to show and compete with their private collections of Antiques & Collectables. The show moves each year to a different location and it’s been 6 years since the Wellington Club has had hosting rights for the event. The Wellington Antique Bottle & Collectables Club Inc, a registered non-profit incorporated society with its group of volunteers are running this year’s show. 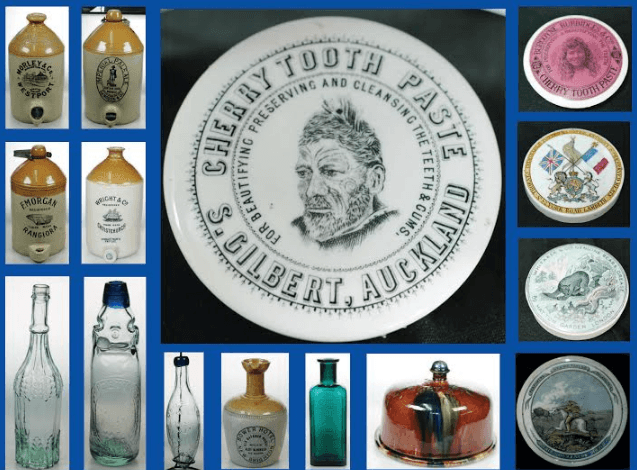 What the public get to see is amazing, a glimpse back in time into New Zealand’s Social History, items on display that rival the museums, a walk for some down memory lane. The list is endless; over 100 exhibits will fill the Upper Hutt Expressions Art & Entertainment, Centre Hall. Running alongside the displays will be private collectors and dealers alike selling all manner of Antiques & Collectables to the public.